Family owned and operated. Factory trained on brands serviced. We specialize in outdoor power equipment such as lawn mowers, power washers, tillers, chain saws, concrete saws, string trimmers, edgers & blowers. 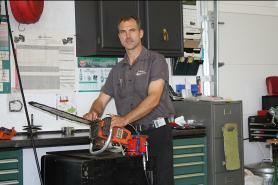 We provide maintenance services, new sales, parts, lubricants, tires and chain saw sharpening.